Let’s put it plainly: Rhode Island might be a small state, but restaurants in the area are serving up some massive New England flavors. Oh, and the good news? Sampling everything the state has to offer is a cinch since you don’t have to travel far! In fact, you could quite easily see double-dip your sightseeing and taste-testing simultaneously in the same road trip. Renting an RV in Rhode Island and snagging the best of the best when it comes to local fare sounds like a pretty nice vacation, doesn’t it? But the question remains: what cuisines deserve your attention and where can you find them? Whether you’re just passing through or are looking for the best Rhode Island flavors, we’ve broken down six scrumptious options below. New England is a seafood lover’s paradise and Rhode Island doesn’t disappoint in that department thanks to its abundance of clam cakes. Aunt Carrie’s in Narragansett has been scoring “best of” awards for their cakes for decades if you’re looking for some fried, pillowy goodness. 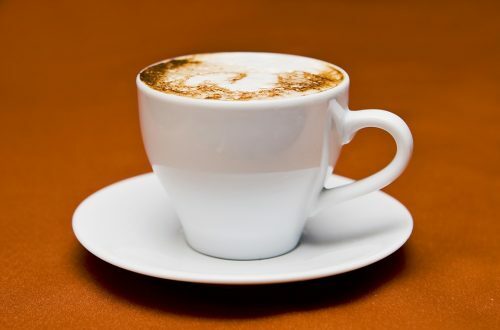 Cited as the official state drink, coffee milk is essentially a mixture of coffee syrup and milk (ala chocolate milk) with its century-old roots in Providence. Speaking of which, Nick’s on Broadway in Providence is the place to be for stellar coffee milk, although you could also stop by Dave’s (also located in Providence in addition to their Charlestown location) who are known for their signature coffee syrup. A staple of New England cuisine, you don’t have to look very hard to find a proper chowder spot as there are so many of them sprinkled throughout the state. And while you really can’t go wrong with your traditional mom and pop spots, Hemenway’s in Providence offers is truly going out of their way to serve up amazing clam chowder in a slightly more “formal” setting. What people call sandwiches and subs vary from region to region, and New Englanders take great pride in their “grinders.” Who makes the best one is up for fierce debate, Dee’s Deli in Cranston and Shayna’s Place in Wickford both such up Italians that are worthy of the “best grinder” crown. Cornmeal cakes are yet another staple of Rhode Island, you can find johnnycakes just about anywhere serving up a fresh breakfast. Cranston natives swear by the likes of JP Spoonem’s, though, especially given this diner’s quaint vibe and attractive price point. The history of the hot dog is a fascinating one, and Rhode Island’s hot wieners (don’t call them hot dogs while you’re here) represent a special part of that history. The undisputed king of wieners is Olneyville New York System, a local institution that serves up plenty of toppings and warm buns to boot. There’s no shortage of good food in Rhode Island, and the added bonus of being in such a small state makes sampling so easy! Be sure to make your own foodie road map based on our list and start planning your New England eating adventure ASAP.